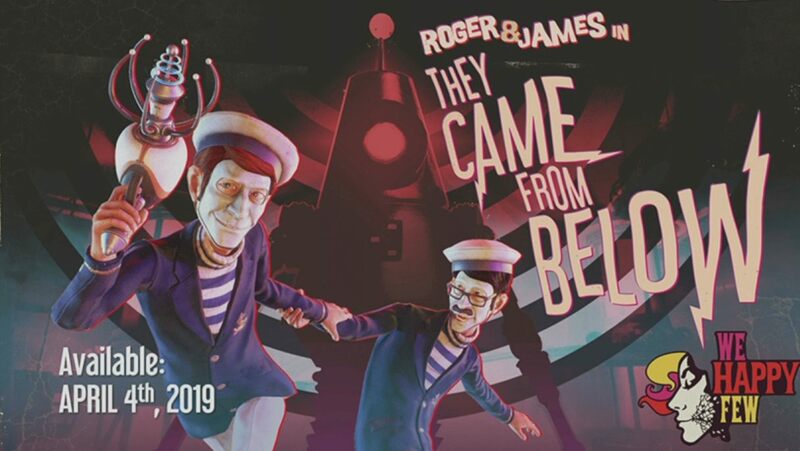 Gearbox Software and Compulsion Games are bringing a fresh experience to We Happy Few players with the DLC named They Came From Below. 'Gamers and onlookers strapped in for the Gearbox Software panel taking place at PAX East 2019, mostly for the official reveal of Borderlands 3, but the Texas-based studio had a lot more in store. In collaboration with Compulsion Games, Gearbox is releasing new DLC for We Happy Few: They Came From Below. 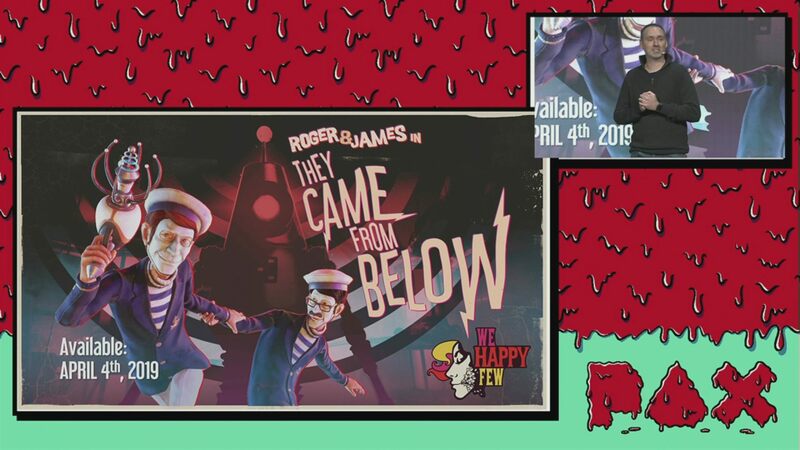 They Came From Below, the new DLC for We Happy Few, will be launching on April 4, 2019. We Happy Few launches in 2018 after going through a plethora of changes while in Early Access. The game is set in an alternative 1960s England within a retro-futuristic city where inhabitants have to take their daily Joy pills to maintain a colorful disposition in a dystopian space. "In the future, everyone's strung out on Joy. Yes, everyone. And no, we're not talking emotions here. Joy is a drug that everyone pops like candy, and it makes things rosy, beautiful, and oh-so perfect. Who needs to know about anything going on in the real world when everything can be amazing at all times? That's what Joy offers the people of Wellington Wells. The only problem? No one's actually happy. Everything, as far as you know, is a disgusting mess. The citizens of Wellington Wells don eerie masks that give them the artificial appearance of smiling, but end up looking like spooky caricatures of actual joyous humans. It's unsettling, to be sure. Luckily, the excellent voice acting and peppy music give the game a realistic lilt that make these weirdos even creepier, especially their stereotypical accents. It's chilling stuff, especially with how cool everyone is about basically surrendering your mind over to drugs. Wellington Wells is a fictional island somewhere near England in a bizarre, warped version of the '60s we know today. It's what all the folks on Joy call home, and everyone is just fine and dandy all the time there, thank you. Oh, except for those awful folks called 'Downers.' Downers are 'off their Joy,' or just about the worst crime you could commit in this weird new world. They've decided, for one reason or another, to stop taking the meds, and as a result have stopped seeing the world as a paradise rife with pink unicorns and rainbows and everything positive. So, obviously, they must be stopped at all costs. It's mandatory to take it, after all, and if you don't? You can kiss your happy little life in Wellington Wells goodbye." We'll be updating our community with all of the tidbits that Gearbox shares, but if you want to tune into the PAX East 2019 panel and see what the team shows of Borderlands 3, you can tune into the Gearbox Software livestream with us.